Embrace the Lion’s Gate powerful Solar vibration and illumination—a Stargate streaming intense Light waves from the Great Central Sun, through our Sun, the Star Sirius, the Earth Grid Point of the Sphinx to the Great Pyramid of Giza. This intense Light Love frequency infuses the whole field of Mother Earth and our energetic fields to the core of our hearts and DNA-RNA. This is an opportunity to walk through a Holy Portal of Luminous Light and accelerate our awakening and consciousness of our God Self and oneness. 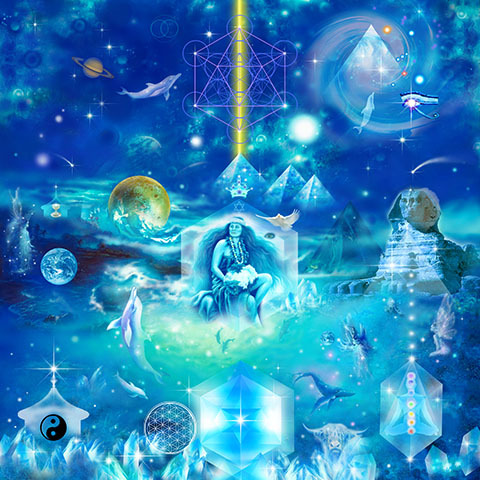 Saturday August 8, at 2:00 PM in Tarzana, you are invited to meditate within the Sacred Space of the Great Pyramid and embrace Luminous Light waves streaming from the Activated Portal of the Lion’s Stargate, a rare occurrence—8-8-8 (August 8, 2015) symbolizes union, oneness consciousness, integration, abundance, and balancing polarities. At that time the Sun is passing through Leo in the astrological zodiac—it is the entry to the Light Universes through the element Fire—an alignment with the Great Central Sun (the Cosmic Mother‘s Womb/the Divine Feminine or Galactic Center), linked with the Star Sirius, the Star Regulus the brightest star in Leo (the Heart of the Lion), an alignment with the Path of the Heart activating the Earth Grid through the Sphinx and Keops, the Great Pyramid of Giza. We then experience “the Mind and the Heart” as “One”, in holy consciousness. This powerful Light emerging from the Great Central Sun, the Heart of the Galaxy is transmuting energies and unifying energies to bring forth Holy frequencies—also activating our 12 strands of DNA. Light is Love and Love is Light. We will experience all of the above and commune from the One Sacred Heart with the Sacred White Lions to be inspired by their wisdom and divine messages. We will activate and experience the Diamond Light to awaken to the Cosmic Heart of Creation and engage all beings in this activation and ascension. It is a cleansing and purification encompassing the whole Planet and Humanity. We will raise our Energetic Frequencies to experience our pure Divine Being. We will support this ascending process for the whole Planet in the Oneness of our Global New Light Christ Grid Consciousness. Suggested donation $20.00, to support this work • thank you! If you wish to attend—since seats are limited within the Pyramid—kindly contact Jeff at 818-625-2178 or email Jeff at: bipedinfo@gmail.com or please contact Sarah Jeane at: sj@artfromthelight.com – Thank you! We are looking forward to share this amazing sacred time with you! Multimedia Art by Sarah Jeane©”Divine Feminine” • This image supports the 888 Activation and Ascension!